Prarthana Patil is Program Coordinator: First Year Studies (FYS) & Art Design History and Theory (ADHT) at the Indian School of Design and Innovation (ISDI). 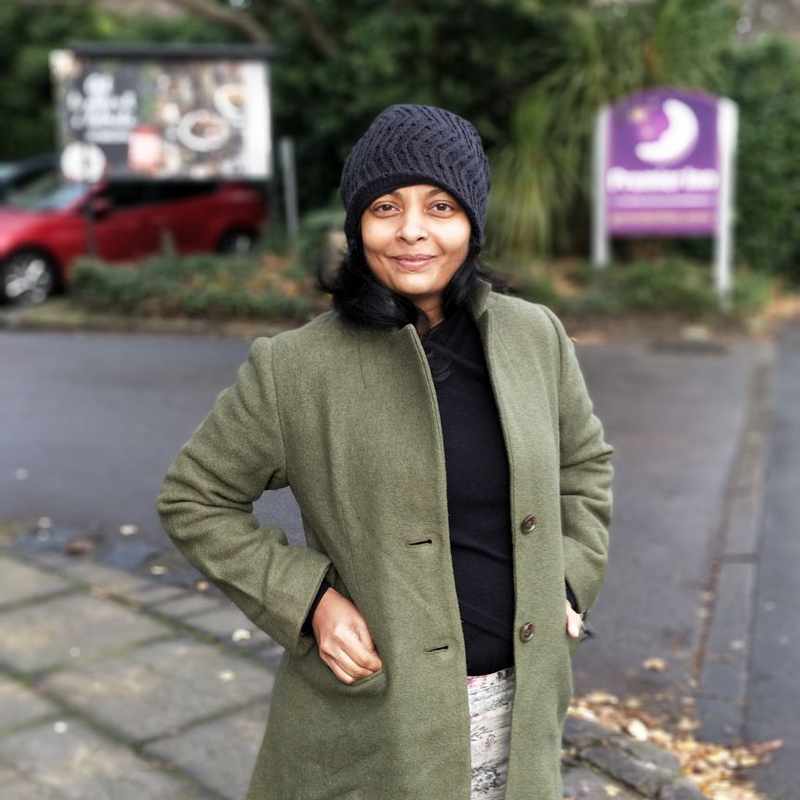 With over two decades of experience in the field of academia, Prarthana is passionate about uncovering unique and compelling ways to engage students in meaningful conversations. Her areas of research include analysing family archives to identify textile stories, social sciences and development programs for children with special needs. She continues to collaborate with local groups in addressing issues such as patriarchy, feminism & myth and ethical dilemma. An alumnus of the Premlila Vithaldas Polytechnic, SNDT University, she began her teaching career in 1997 with the CEPZ Institute of Fashion Technology and has since then been associated with The L S Raheja Institute of Fashion Technology, Wigan & Leigh College, The Apparel Manufacture and Design Department, SNDT University and Rizvi College. Apart from imparting skills like Pattern Making, Draping, Accessory Design, Basic Footwear design, Indian Embroidery, she pursued courses in Ceramics and Pottery, Indian Aesthetics, holds a Masters Degree in Ancient Indian Culture & Archaeology from St. Xavier’s College, Mumbai, PG in Contemporary and Modern Arts of India from Dr. Bhau Daji Lad Museum, Mumbai and has recently completed a course in Film Appreciation. She was the contributing archivist at artist Vivan Sundaram and cultural theorist Ashish Rajadhyaksha’s collaborative artwork: Meanings of Failed Action: Insurrection 1946, exploring the 1946 Bombay Mutiny that was displayed at Chhatrapati Shivaji Maharaj Vastu Sangrahalaya, Mumbai, in March. This installation, underpinned by the exemplary soundwork of David Chapman, seeked to revisit an incident that has eluded textbooks and state-held discourses to this day. She is actively involved in reviewing curated art shows in Mumbai and writes periodically for Art India. She has worked with Vinegar Fashions as Design Head, helping launch the brand in India and Spain and volunteered at ‘Tamahar’ – centre for children with special needs in Bangalore, to create individual lesson plans and assisted in developing teaching methodology. She continues to pursue her studies and practices in spirituality that include conscious living.